The Music and Worship Ministry of Crestview Baptist Church, which includes the Worship Choir, Encore Choir, Ablaze Youth Choir, and Orchestra, prepares for and leads worship for our Sunday Morning Worship services in the Worship Center as well as events year-round throughout the community of Georgetown and beyond. 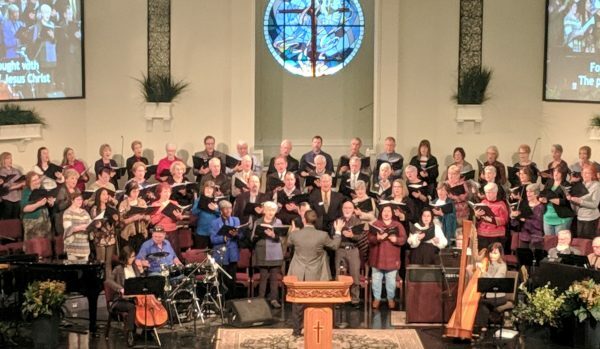 Members of our worship team (choir and orchestra) have the opportunity to share their testimony of faith as they engage the congregation in worship. They get to use their talents in a way that glorifies the Lord and encourages those in attendance. Those who participate in the Music Ministry develop relationships as we work together toward the common goal of sharing the good news of Jesus through music as well as the integration of scripture reading and testimonies. The Worship Choir rehearses each Wednesday from 7:25 to 8:30 p.m. in the Worship Center. No audition is required for those who wish to participate in the choir. Choir members must be at least 9th grade or older. Because of the limited positions available, those who wish to play in the orchestra must demonstrate requisite skills on their instrument as determined by the Minister of Music. Child care is provided for participants in these groups who have children birth to five years of age. For information regarding the Encore Choir (Ages 50+) and the Ablaze Youth Choir (6th grade through 12th grade), please see the info below. Contact Minister of Music, Corey Ash through the church office for more information. Hey Choir! Here is the link for you to listen to our Easter special. It’s going to be EPIC!! Wherever Easter services happen, we WILL BE having full choir and orchestra! Enjoy listening! The weekly rehearsal recording can be found here. The playlist of current anthem demos can be found here. The Ablaze Youth Choir and Drama Ministry kicked off in the fall of 2018. The students involved in Ablaze learn songs of praise for ministry through music to our own congregation as well as for use in encouragement to members of our community as well as mission opportunities beyond our local area. Students are trained in singing, worship leading, personal evangelism and drama. The goal of Ablaze is multi-faceted, seeking to prepare students to share their faith through their gifts while encouraging them to expand their idea of what ministry can be. 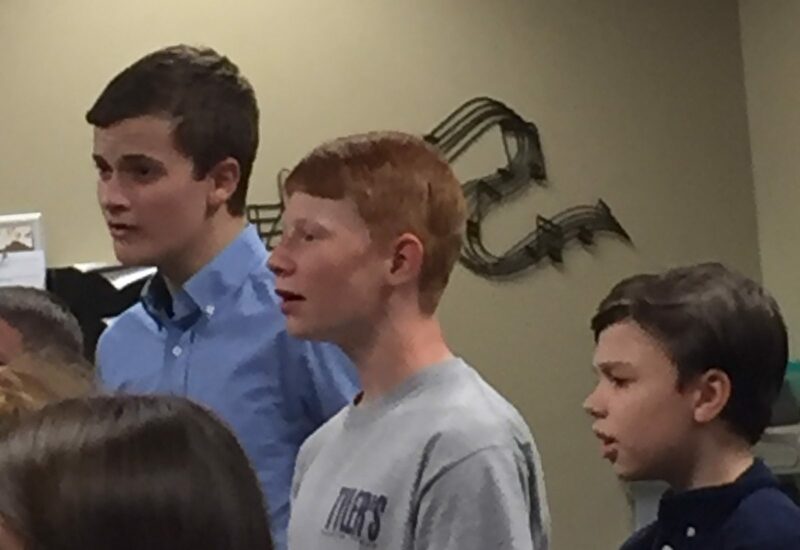 The students meet each week on Sunday evening in the choir room from 5:00 to 6:00 p.m. Students are then served a meal at 6 p.m. in the fellowship hall. Members of our senior adult choir, Encore, provide fruit, chips, and dessert to the students each week to go along with their entrée. This ministry is available to all students grades 6th through 12th. 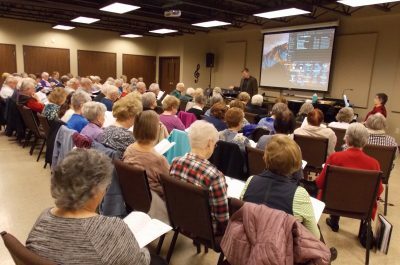 The Encore Choir here at Crestview is open to all individuals ages 50 and over. We love to sing and worship the Lord Jesus Christ, and we love encouraging one another through songs, hymns, and spiritual songs. We have singers from every ability level who enjoy being a part of our ensemble. 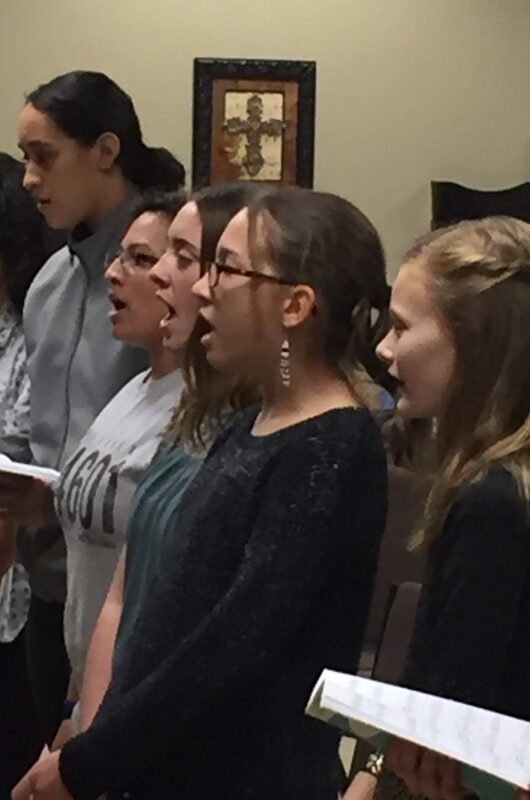 Rehearsals are on Mondays at 10:00 a.m. in the choir rehearsal room behind the main sanctuary. Feel free to come and watch any time. Or, just come and join us. We’ve got a folder ready and waiting! There is no audition required to be a member of the Encore Choir, simply a heart for singing praise to the Lord! 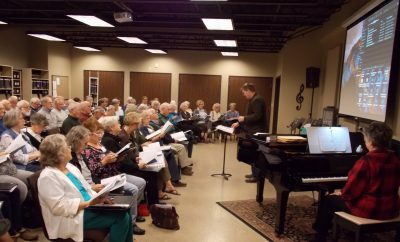 Rehearsals take place every fall and spring and the choir presents ministry through their music each season in a variety of settings across the community. It is a ministry-driven endeavor from beginning to end. We’d love to have you be a part of our ministry through music!